Lisa Pfister: Two big wins this year. 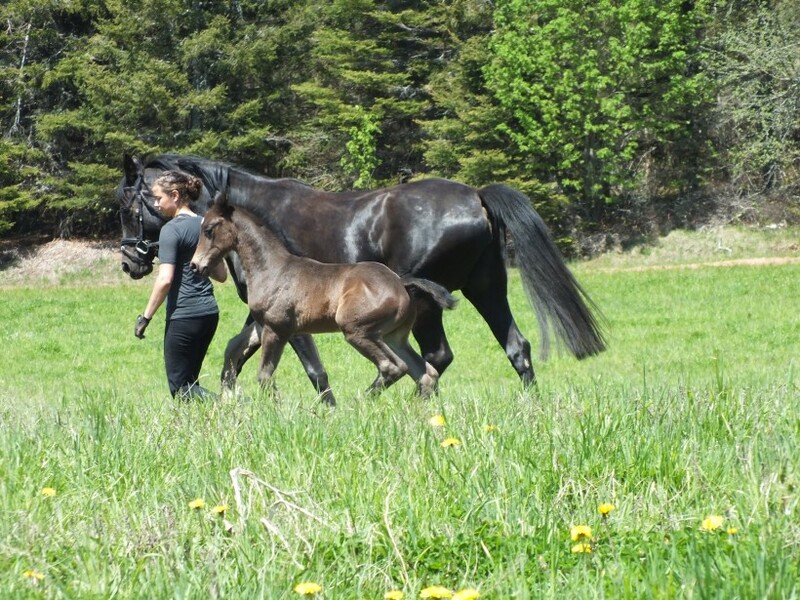 Pfera, the Fredericton company that helps horse breeders predict when their mares will give birth, won the $45,000 BioInnovation Challenge on Wednesday, its second big competition win this year. Now in its seventh year, the BIC is the main competition for young life sciences companies in the region, and is a highlight of the annual BioPort Atlantic conference. As well as winning the BIC, Pfera CEO Lisa Pfister earlier this year won the $375,000 first prize at the Breakthru competition, the New Brunswick Innovation Foundation's biennial startup contest. Pfera is developing a suite of products to reduce costs and improve survival rates in the breeding of horses. Horse breeding is now a $10.6 billion business and Pfera has already successfully tested its first product, a patent-pending device and software that tell breeders when their mares will give birth. There’s now a range of about 50 days of when a mare could go into labour, and someone has to watch the horse 24 hours a day during this time. Pfister said Pfera tested its system on 10 horses in P.E.I. this spring and saw vast improvements. “We were able to get the notice four days ahead of time,” said Pfister. “We were able to narrow [the predicted delivery time] to within four to eight hours and we’re improving on that all the time.” One of the horses was Pfister's own mare, and she was able to fly into P.E.I. six hours before the birth because of her technology. As the winner of the BIC, Pfera will receive a $15,000 seed investment and a package of support services and mentoring valued at more than $30,000. The company plans to publish the results of its first test at veterinary conferences this year and go into clinical trials early next year. It’s planning a launch in late 2018 or early 2019. Pfera is also working on a breeding platform for the horse community that contains data on each mare and helps tell when it’s the best time to breed. Pfister added the company is working on a third product, though it is keeping this project under wraps for now. • Tieös Pharmaceuticals Inc., of Moncton, aims to create new paradigms in cancer treatment by targeting several “metabolic pathways” simultaneously to prevent cancer cells from spreading. Arun Anand, CEO, told the audience that cancer is believed to be caused by genetic mutations, but his team believes that the causes are actually metabolic (meaning tumors are created by non-genetic factors). Tieös plans to revolutionize cancer care by taking a number of actions based on this theory to starve cancer cells of their energy and ability to reproduce. • Zecken Laboratories, of Sackville, is enhancing the diagnosis of Lyme disease. CEO Kami Harris has been studying ticks and Lyme disease for her PhD at Mount Allison University, and now she is transforming her research into a company. She said there are actually 21 types of Lyme disease, but current diagnostic tests only identify one type. That means about 90 percent of the instances of Lyme disease go undetected, which can lead to long-term health problems. Zecken has already identified peptides that show the presence of the affliction and continues to research the disease to identify new strains as they come along.